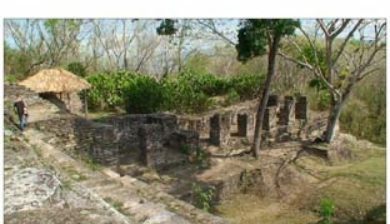 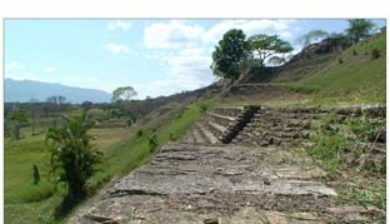 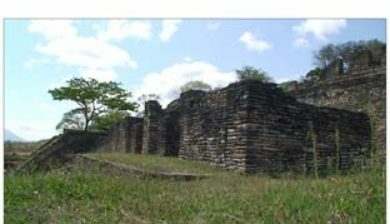 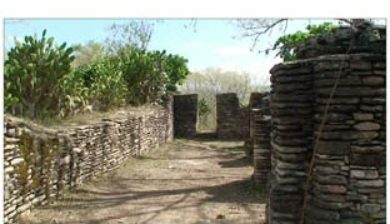 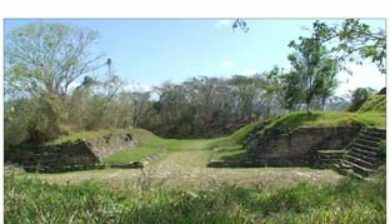 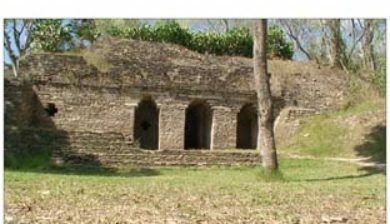 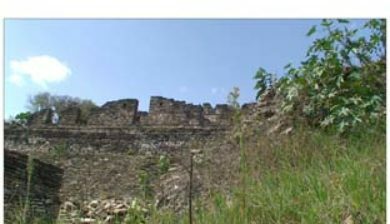 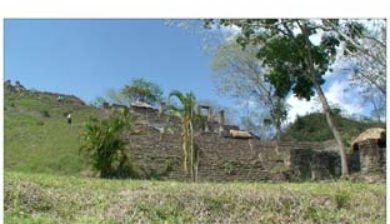 (or Toniná in Spanish orthography) is a pre-Columbian archaeological site and ruined city of the Maya civilization located in what is now the Mexican state of Chiapas, some 13 km (8.1 mi) east of the town of Ocosingo. 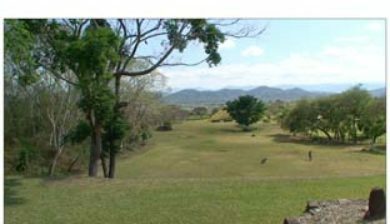 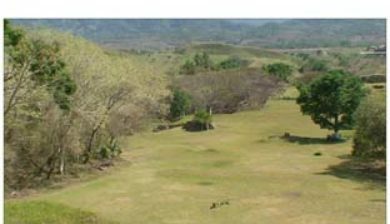 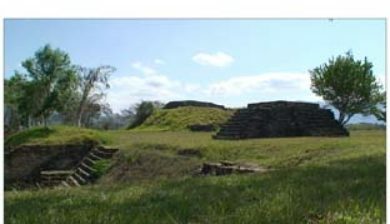 The site is medium to large, with groups of temple-pyramids set on terraces rising some 71 metres (233 ft) above a plaza, a large court for playing the Mesoamerican ballgame, and over 100 carved monuments, most dating from the 6th century through the 9th centuries AD, during the Classic period. 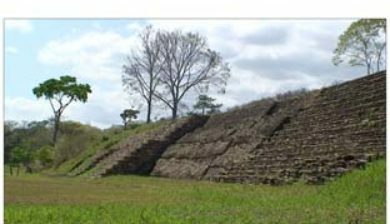 Toniná is distinguished by its well preserved stucco sculptures and particularly by its in-the-round carved monuments, produced to an extent not seen in Mesoamerica since the end of the much earlier Olmec civilization.